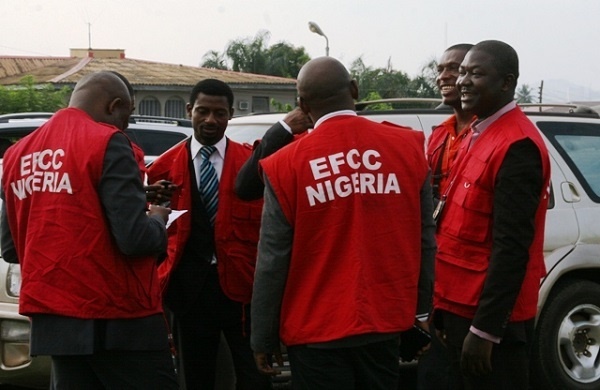 The EFCC has said the Chief Justice of Nigeria, Justice Walter Onnoghen; Governor Ayodele Fayose of Ekiti State and the immediate past Minister of Finance, Dr. Ngozi Okonjo-Iweala, are among high-profile personalities currently under its investigation. Justice Walter Onnoghen, Governor Ayodele Fayose and Dr. Ngozi Okonjo-Iweala's names are contained in the list of high-profile cases involving over 100 politically-exposed persons and top-ranking public officers still being investigated by the EFCC as of August 2017. The list was recently sent by the anti-graft agency to the Attorney General of the Federation and Minister of Justice, Abubakar Malami (SAN), based on request. Other former governors on the list include Godswill Akpabio of Akwa Ibom State, who is currently the Senate’s Minority Leader; Jonah Jang of Plateau State, currently serving as Senator representing Plateau North; Ali Modu Sherriff of Borno State, who recently had a controversial stint as the National Chairman of the Peoples Democratic Party; and Lucky Igbinedion of Edo State.